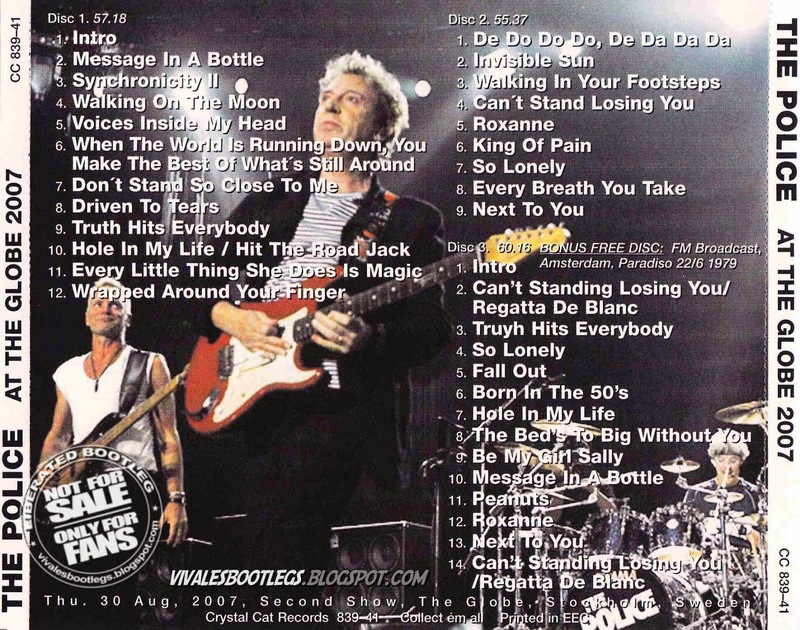 Recorded Live at Globe Arena , Stockholm , Sweden - August 30, 2007. Files: 35.:: Size: 1.17 GB (flac). Personnel: Sting – lead vocals, bass guitar - Stewart Copeland – drums and percussion; backing vocals - Andy Summers – guitars; backing vocals. Notes: At The Globe is a must-have for any Police fan. 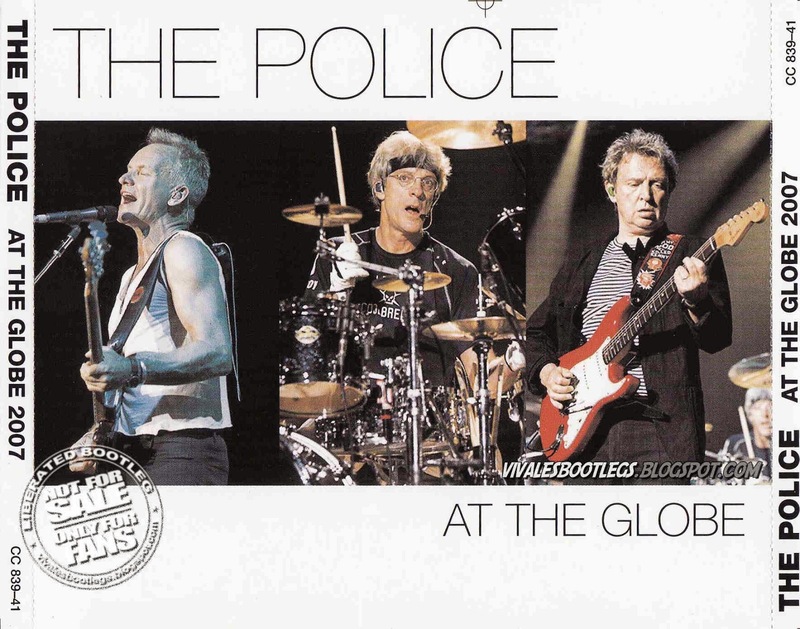 It’s hard to believe that with over 800 discs, Crystal Cat Records has never before brought us a performance by The Police. They report they have no plans to release any further Police shows. Let’s hope they change their minds. The production value of the CD, liner notes and discs is superb. Excepting a few typos, the visual quality is so high, At The Globe could easily be mistaken for an official release. Overall, the first two discs do a masterful job of representing what the reunion tour has been all about. The second concert (disc 3) is from an FM broadcast of the band’s June 22, 1979 Amsterdam concert. It seems this is the first time this concert has been released on silver CD, though it was released on professional CDR last year. Coming from the band’s early days, this concert is in stark contrast to the reunion show – a lot more raw and, perhaps, more powerful. The sound quality is quite good and has been expertly produced. (info taken from Collectors Music Reviews).